DENMARK 1875 S.G.74 BLUEISH VIOLET AND BROWN USED SPACEFILLER. Dispatched with Royal Mail 1st Class Letter. 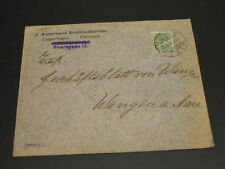 Cover sent to Steyr, Austria, receiving cancel on back. Tønder to Austria. A re-shelving fee of 15% may apply. 5 on 30 øre violet, stamp depicting Københavns (Copenhagen's) Main Railway Station, issue of 1934/37. Actual condition issues (that are not apparent from the scan) WILL be described. 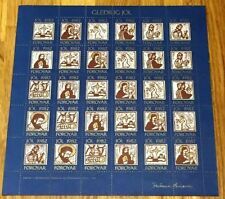 After 35 years I decided to retire from being an active Cinderella Stamp dealer. 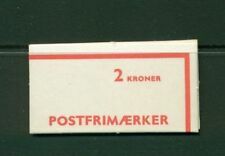 Denmark 1851-62 Sc#'s 2, 3-A3, 7-A, 8-A4, 6A3. Denmark / Danmark. Sorry, but I can't carry lots over to the following week. Multiple lots. Keine Rückvergütung für "verlorene" oder "gestohlene" Briefe. Intet tilbagebetaling for "forsvundet" eller "stjålet" breve. A RARE Find.Scott Stamp #80 on Cover. Scott Cat Value for USED is 2000.00. Items Is In USED Condition. Sign up for. 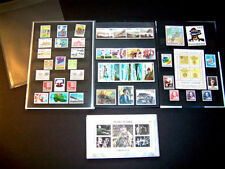 Member of the Canadian Stamp Dealers Association. ; the fast, easy, and secure way to pay online. Interesting "National flag" sealing labels. Censored by German censor. German occupation of Denmark (Danmark) during the WWII. 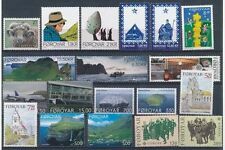 Faroe Islands 2009 'The Lost Musicians', William Heinesen book, Minisheet, Mint Never Hinged / Unmounted Mint.